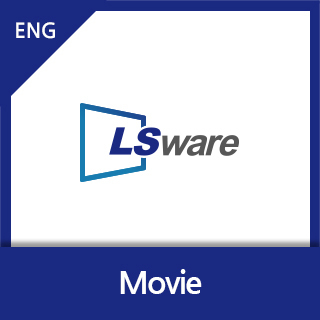 LSware Company Introduction video This is an introduction video of a Korean company LSWARE Inc. LSWARE is a leader of Total Security Solutions. Omni-IM(Account Lifecycle Approval Management System) Omni-IM provides integrated account management for different O/S (such as Unix/Windows) based servers and databases. It provides functions for User lifecycle approval Management and Integration/Management for Security Policies. 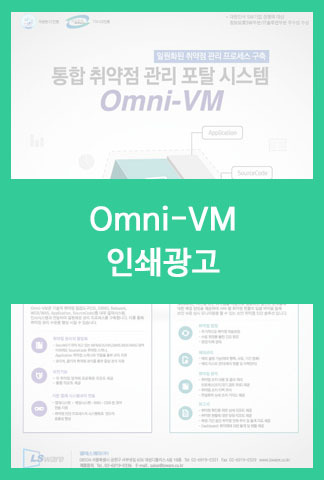 [광고] Omni-VM & SecuMS 엘에스웨어의 통합 취약점 관리 포탈 시스템 Omni-VM과 SecuMS를 함께 소개하는 광고입니다. 많은 관심과 응원 부탁드립니다. [광고] Omni-VM 엘에스웨어의 ‘통합 취약점 관리 포탈 시스템’인 Omni-VM 광고입니다. 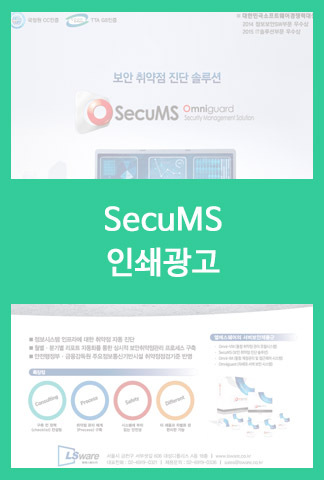 SecuMS 2015 엘에스웨어의 보안 취약점 진단 솔루션인 SecuMS 인쇄 광고입니다. 많은 관심과 응원 부탁드립니다.